A mortgage rate lock is a lenders promise to hold an interest rate for a certain amount of time. Of course when you are looking for a mortgage most want to make sure they are getting themselves the best deal possible. In evaluating various proposals from different lenders, you should be looking at the interest rates, the points being charged, and the closing costs. One of the considerations when applying for a home loan is when to actually lock the quoted interest rate the lender is giving you. When you don’t lock the rate right away you are gambling with your future loan payment. 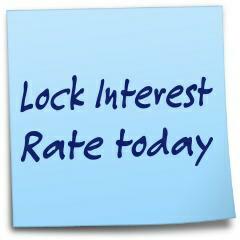 Unless you are a gambler and can deal with a rate bump the best time to lock a rate is right away! It is important to note that locking in on a rate does not commit the borrower to going through with the loan. The lock of the interest rate simply eliminates the risk of the borrower being open to market fluctuations. As a home buyer when your qualifications are tight the last thing you want to do is find out your rate has increased from 5.5% to 5 7/8%. An interest rate increase like that for some folks could be the difference between eating a nice fillet Mignon or settling for spaghetti more often than you want to. When a mortgage company or bank permits an extended rate lock-in period, the borrower will usually see either a higher interest rate or more points associated with the loan. The lender does this so that they minimize their own exposure to market risk. The borrower pays for the lender to take on this risk in the form of either a higher rate of more points. As an example, a 30 day rate lock commitment may cost the borrower one half point, while a 60 day rate lock could be double that or one full point. If a borrower needed an extended lock period, but did not want to pay points, the lender could increase the interest rate instead. In this example, typically, a 60-day lock would have a higher interest rate than a 30 day rate lock. A point by the way is 1% of the mortgage amount. So if you are borrowing $200,000, one point would be equal to $2000.00. Not cheap but sometimes this avenue is taken if you are building a new home and you think their could be construction delays. Paying the extra point would be security to keep a good interest rate. Another reason why is it usually best to lock in a mortgage rate right away is that if rates do come down substantially most lenders are willing to renegotiate the rate. Why are lenders willing to do this? The answer is a simple one…they do not want to lose your business to someone else! If your lock-in period happens to expire, you could lose the interest rate and the number of points that you had locked in. In this situation, most often lenders will give you a new loan quote that is based on the prevailing interest rate and points, which could be higher due to market conditions. As a borrower, you really should be watching what has been going on in the mortgage market. Sometimes there are periods where mortgage rates stay constant for a very long time. On the flip side there are times where market rates can be very volatile even on a daily basis. Knowing what is going on when you are getting your mortgage could play an important role in your decision. When you do decide you want to lock your interest rate make sure you get it in writing from the lender. A verbal loan commitment is worthless. There have been times over my Real Estate career where buyers have fought with their lenders because they told them they wanted to lock a rate yet the mortgage broker did not act on it. Make sure you get documentation that the loan has been locked! Also keep in mind that one of your goals should be to time the rate lock so that you leave yourself ample time to get to a closing without having the rate lock expire. One last point that should be clear about locking an interest rate is watching the news and hearing that the Federal Funds Rate is being dropped and assuming that 30 year fixed rate mortgages will also be dropping. This could not be further from the truth! There is a big disconnect between the Federal Funds Rate and fixed rate mortgage instruments. In fact many times when the Federal Funds Rate is dropped long term interest rates rise. The Federal Funds Rate is more closely tied to the adjustable rate mortgage. For a complete explanation of how this works see The Federal Funds Rate V.S. Fixed Rate Mortgages. Don’t make an uniformed rate lock decision based upon a rising or dropping Federal Funds Rate. As a borrower getting a home loan, one of the other important considerations to weigh is when it makes sense to pay mortgage points. For an explanation see when to pay points on a mortgage loan. Previous Article In Real Estate When in Doubt Disclose! Lew thanks for the link on locking a mortgage interest rate. I know today most lenders require that the borrower sign a paper that they have agreed to the interest rate and the locking period. And with today’s new GFE, lenders are being even more careful. I’m glad to see our industry being much more professional. So timing is essential when trying to decide when to lock too… so check with the lender. The longer the lock, the higher your points so it makes sense to ask if you have 30, 45 or 60 day pricing. Also, locking in might just help you sleep better! I want to thank the blogger very much not only for this post but also for his all previous efforts. I found this Massachusetts Real Estate blog to be extremely interesting. I will be coming back to massrealestatenews.com for more information. 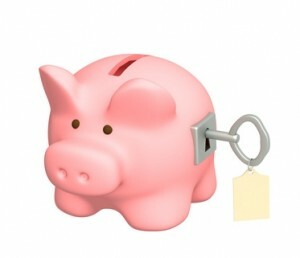 Bill, great article… thanks for the info on when to lock an interest rate. I am constantly learning from you, which for a new agent, is fantastic. Keep up the great work! Thanks Chris I appreciate the compliments! I hope things are going well for you. Bill- Great article and awesome to see someone talking about the Fed Funds Rate…every time this comes up we get bombarded with requests to “float”. Now I can point them to your article. Also, getting it in writing (lock confirmation) is HUGE! thanks for the great blog..
Great Blog!. Thanks for sharing. I am shopping for loans. I know I will not be able to move into my new home before February 2012. It is October 2011 now. My question is, when should I lock my rates? If I lock it now, it would not serve the purpose as the current wait for the home to be ready is almost 90 days. Vijay when to lock your mortgage rate would come down to your willingness to take a risk and the cost associated with locking the rate in. If you were willing to see rates going up you would not lock until you were 45-60 days away from February of next year. If you are risk averse you would lock now but have to pay extra to get the rate extended for such a period of time.